Just doing a little blog surfing whilst introducing myself to season one of The Gilmore Girls (been one all my life, so figured its only fair to make the most of my housemate’s dvd box set while its still here! ).I find it more than a little disconcerting that I (in my small corner) appear on blogrolls alongside proverbial giants in blogging intellect. 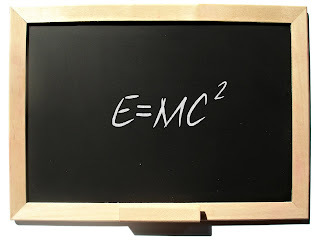 So I have decided to write a post about intellectual things such as Voltaire, Einstein and quantum physics. Well, when I say I’m going to write about those things, I really mean I’m just going to call my post that and hope that no-one actually notices that the blog isn’t about that at all, cos – let’s face it – I don’t really do intellectual. Sarcasm, yes. Rhetoric, tick. Nonsense poetry, check. Links to random internet videos, you betcha! Plus, if people are inclined to spend time online when they’re bored, surely – surely! – true friends do whatever they can to save people from the evils of Bebo. Blah blah blah… I have no idea whether anyone ever actually reads this stuff anyway. Perhaps once upon a time, they absent-mindedly clicked on the link on those more thought-provoking blogs and ended up here. Then its sure they’re ne’er more to return. And yet, while bloggers say we’re not aiming for pretention, just exercising (exorcising?) our right to free speech, we still want people to read what we’re publishing, don’t we? I wonder is an un-read blog the modern day, grown-up equivalent of walking past a group photo in the high school corridor and finding someone has stuck a drawing pin through your face. Happiness is a quiet beach on the evening of a rainy day that turned out sunny. I was going to leave it there. A succinct summation of a moment’s contentment. A clever beginning to a series of blog posts. The mother seemed somewhat less than impressed. That made me smile and I began to wonder if I could really leave ‘Happiness is…’ at that. It was only natural, then, that my over-inflated sense of the poetic should kick in and I merrily indulged in further musings about the nature of happiness. Then I inadvertently swallowed my chewing gum and noticed the coffee shop was closed. Is it just me, or is it more than a little disconcerting to think that a fluorescent-lit shop selling wrinkly old cabbages, greasy ‘fried-twelve-hours-ago’ bacon rashers, frozen fish fingers and other such questionable delicacies is being claimed as indicative of the way we live today…? So I’m discovering that an evening can be well-spent, watching cheesy reality tv (Grease is waaaay better than Joseph) whilst browsing lofty thoughts about heaven on the blogs of other great thinkers. You see, I’m becoming ever more convinced that balance is the key to life. Does Saturday night television make your stomach curdle and your blood boil? Do intellectual online discourses fry your brain and test your patience? Why not try doing both at once?! As the tears begin at the thought of dreams being shattered by the ‘great’ British vote, you can turn your attention to illusions of a fluffy cloud heaven being torn apart. Then, once the references to political figures or theological terms that you’ve only vaguely heard of begin, you can switch back to enjoying the talent (or lack of talent) being showcased in your very own living room. Speaking of talent and theology, let me know if you think this guy is for real…?